Not all dryers are created equally. The most important feature? A moisture sensor. Moisture sensors “sense” when your clothes are dry and know when to turn off—saving 20% or more on the most energy intensive appliance in your home. Your dryer is pretty simple, it heats air up to remove moisture from your clothes. Most dryers have similar efficiency while they are drying your clothes. However, some don’t know when to stop! The end result is a lot of extra energy and money spent on drying your already dry clothes. So what is the solution? Energy efficient dryers have a moisture sensor that can tell when your clothes are dry and stop automatically. This reduces wasteful drying time, saving you energy and money. Dryers that don’t have a moisture sensor will continue to dry your clothes based on standard settings regardless if they are dry or not. This often leads to an extra 10 or 20 minutes of drying which increases energy use and wear and tear on your clothes. Follow the tips below to find out if you should upgrade and when. The most important question for energy and costs savings for your clothes dryer is—does your dryer have a moisture sensor? The easiest way to check is to look in your user manual. If you don’t have it, you can usually find it online by searching by the make and model. If you don’t have a moisture sensor, then you will get increased savings with an upgrade. When to upgrade? Energy efficient dryers cost around $500-$800 or more depending on features, with possibly an additional installation charge for gas dryers. An energy efficient dryer with a moisture sensor will save you on average about $20 a year on your bills. These are great savings, but you won't be able to pay back the price of the dryer based only on your energy savings. However, a dryer with a moisture sensor also saves wear and tear on your clothes, which can add additional savings. All considered it is generally best to plan to upgrade when your dryer is closer to the end of its lifetime or needs expensive repairs. Dryers generally last 8-12 years. Add it to your list and schedule it for when you’re dryer is 8-10 years old or sooner if it needs expensive repairs. Look for rebates. Also, check to see if your city or utility provides rebates on energy efficient clothes dryers to lower your costs. Check the resources section below for information. You can also check with your local utility provider and the Energy Star website. Moisture sensor. Moisture sensors save energy and money. Auto Dry. The Auto-Dry feature lets you pick how dry you want your clothes. Choosing "less dry" instead of the regular full dry setting can reduce your energy use significantly. Size your dryer to your needs. An extra large dryer that isn’t filled up means heating extra air every time you dry. If you like doing smaller loads, choose a smaller dryer. Energy-tracking Features. Enjoy technology? 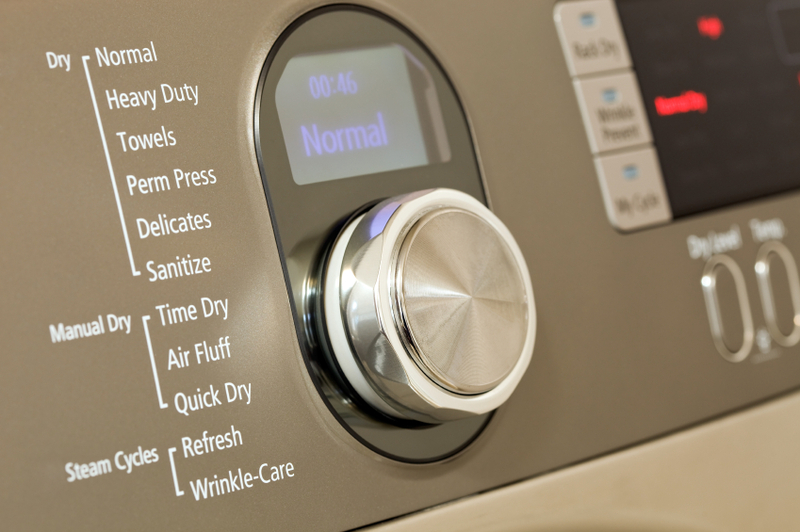 Newer high-tech models track how much energy each load uses, giving you instant feedback to improve your laundry habits. Some dryers connect to the smart grid. Imagine tossing your clothes into the dryer before bed, and it turns on when it detects that energy costs are lowest—saving you money and energy while you sleep! Get more info on choosing a clothes dryer in this Consumer Reports guide. Consider going electric! One of the most important actions we can take to reduce carbon emissions is to choose 100% green electricity and then switch over all of our home appliances to electric. You don’t need to put solar panels on your home to get green electricity, check out the Choose Green Electricity action to learn more! If you have a gas clothes dryer now, the next time you upgrade consider switching to electric. If you have not had an electric dryer before, you might need to do a one time upgrade to install an electric outlet for your new clothes dryer. Most electric dryers require a 240-volt outlet, however some work on a regular outlet. 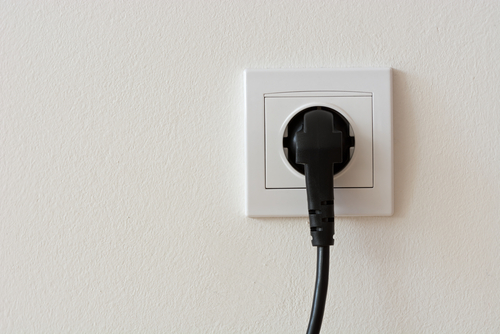 The cost of a new outlet install will vary based on your current electricity service capacity and wiring. Check with an electrician to determine what the cost would be for your home. Now that you have picked out your new dryer, purchase it and schedule delivery and installation! Electric dryer installation may be free, gas dryers usually have an installation charge. Recycle. Dryers made from steel and aluminum can be recycled. Most companies will offer to take away your old machine when they deliver your new dryer. Check that they will recycle your dryer and not dispose of it at a landfill. If the installer won’t recycle it for you, there are other options. Check the website of your city or county’s municipal waste service. Many have recycling programs that accept large appliances and even offer curbside pickup. Or visit the Recyclenation.com website for a list of local recycling centers that accept appliances. Extra Credit: Now that you have your new dryer, use it wisely! Check out the Dry Wisely action with tips on how to use your dryer to save more energy and money.